Many people use llamas for packing, and they are perfect for long backpacking trips. Because of the llama’s easy-going nature, many people are enjoying wilderness treks that they would not be able to with other pack animals. Most places don’t allow you to rent one of their animals without a guide and a specific trek in mind. The ones that do, require a class in which you learn about the care of llamas, or proof that you’ve had experience on treks with llamas in the past. Also, there are transportation costs to cover. If you can meet all of these requirements, expect to pay about $35 per day for llama, saddle, and packing gear. Llamas are also used for driving carts, pet therapy, and even Alpaca and Llama Shows. 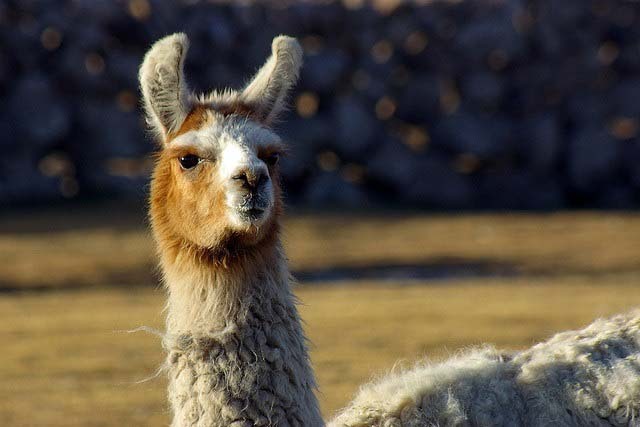 The fine undercoat of a llama is very soft and is naturally lanolin free, and the fiber is used to produce handicrafts and garments.